This is a question I hear all the time, “Andrew, what voice over mic do you have?” or “What mic is best for me?” and of course, “I am setting up a home studio, what gear is best?”. Funny enough, I have asked the same questions to others. The important thing to consider is, “What gear do I need for recording my voice?”. 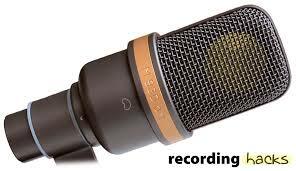 This may seem an obvious and strange question because you want to record your voice, right? If you take a look at our Realtime Casting training channel on Youtube (below), there are different kinds of home studios for different requirements. All voice over mics react differently to a person’s voice. Some will say, “Don’t use a shotgun mic for a female voice because of the brightness already in the mic!”, which I am sure can be an issue. Am I recording to audition? Am I recording for broadcast? I have always opted for broadcast and it has paid off. I had one client that I recorded for from home when I first built my home studio, and although the set up was basic, it allowed me to experiment. The engineer I supplied voice tracks for gave me advice on how to improve the space I had. When I moved to a new home, and built a proper studio, this engineer was a great help to me. 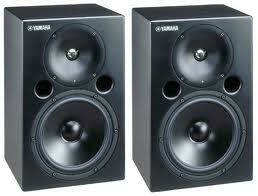 I also sought advice from a trusted audio supplier, who asked me, “What do you need to achieve?”. I answered, “Super clean, flat audio.” I bought a Microtech Gefell M930 mic, a Grace M101 pre- amp; altogether a great package. New purpose built computer with an RME sound card…and a Mackie mixer. All of this was expensive, but I have now used this gear daily for 7 years and expect to be using it for many more years to come. Remember, if you are not an audio engineer, leave it to the experts. Speaking of…Do you have any questions for our audio engineers? If you need any information from Jim Kennelly or Dylan Tishler of Lotas Productions, or myself at Realtime Casting, comment below or please drop us a line through our homepage!